It's officially football season and that means it's time to host parties and tailgates! 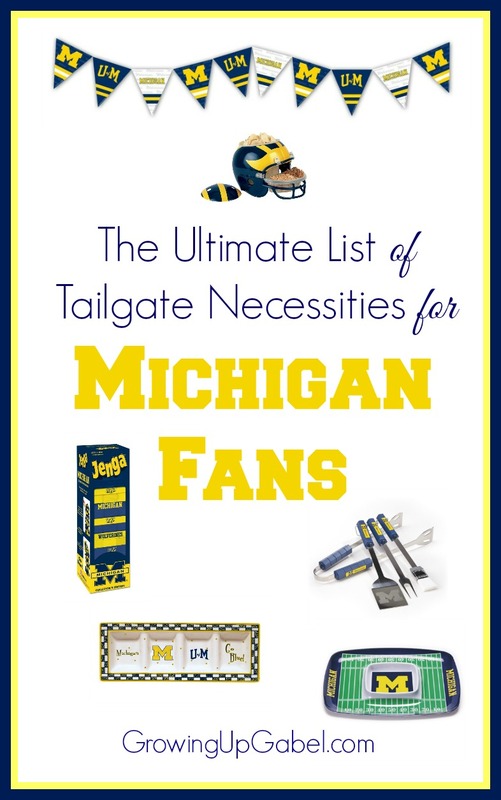 Get ready with these awesome University of Michigan gear! We love to have friends and family over to watch University of Michigan football (and basketball, and softball) games. I love to deck out my house with maize and blue and all the Michigan gear I can find. Michigan Crock Pot – Make Jalapeno Beer Queso Recipe, Apple Cider Bourbon Whiskey Cocktails, Slow Cooker Beer Can Chicken Recipe or any other game day favorites in this AWESOME slow cooker! 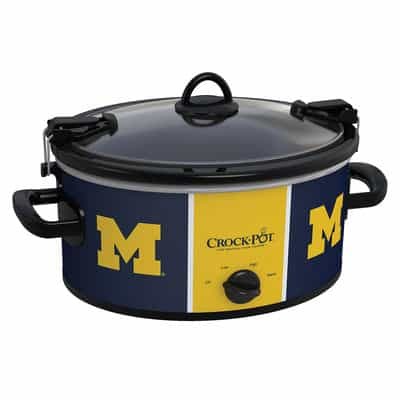 And right now get 25% OFF NCAA/NFL Slow-Cookers ! 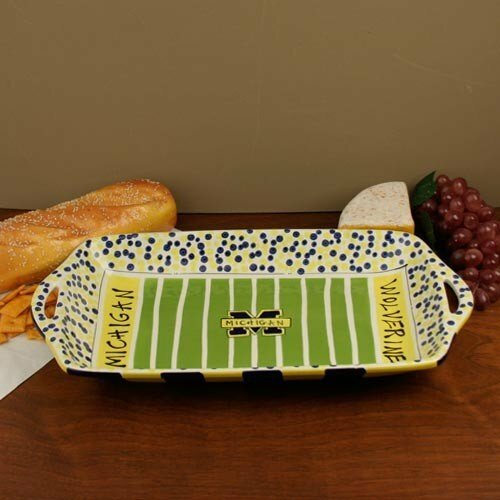 University of Michigan Stadium Platter – I love that this looks like the Big House and appears to be hand painted. It'd be great for cheese, crackers and other small appetizers. 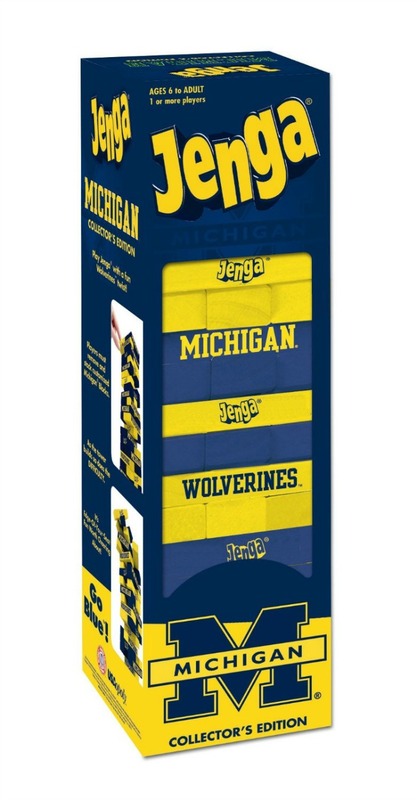 NCAA Michigan Wolverines Gameday Relish Tray – How fun is this? We are big fans of olives and pickles for game day, but this would work well for dips and sauces, too. 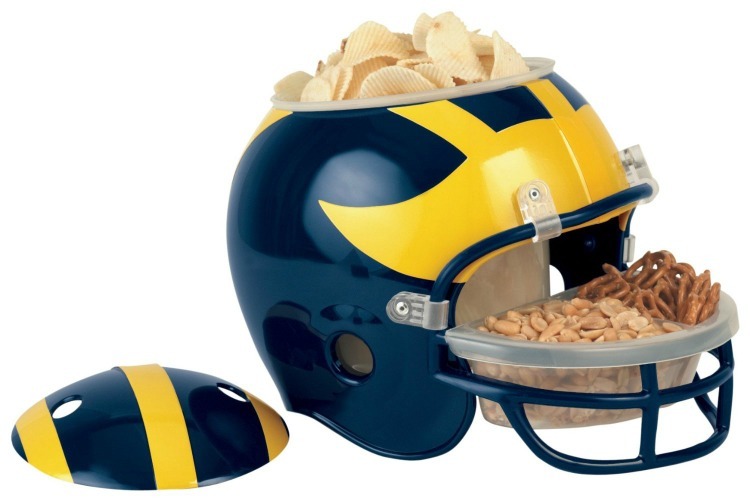 NCAA Michigan Wolverines Snack Helmet – The perfect way to serve chips, pretzels and nuts is in a Michigan helmet! 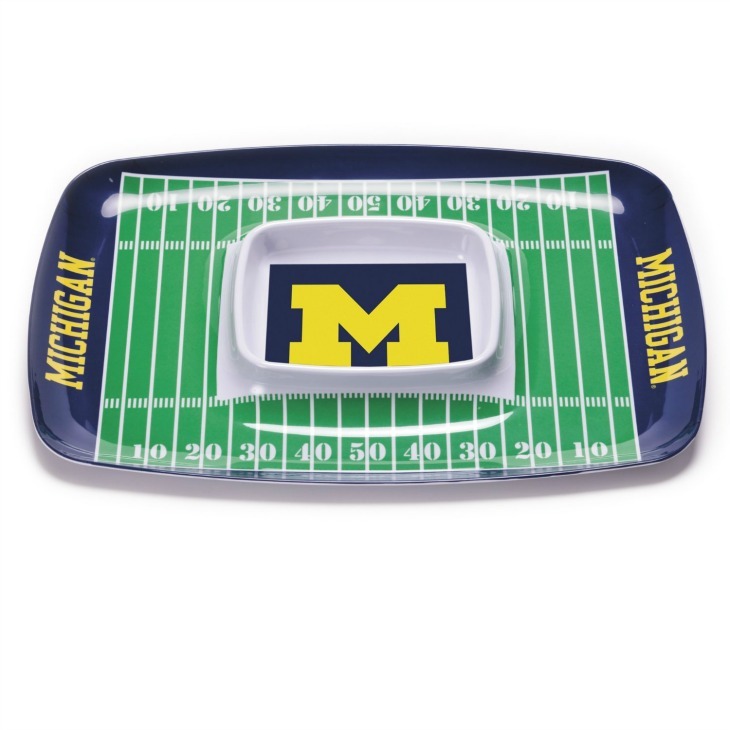 NCAA Michigan Wolverines Melamine Chip and Dip Tray – Another fun serving dish for chips and dip or veggies and dip or fruit and dip. This one is plastic so it'd be easy to transport. 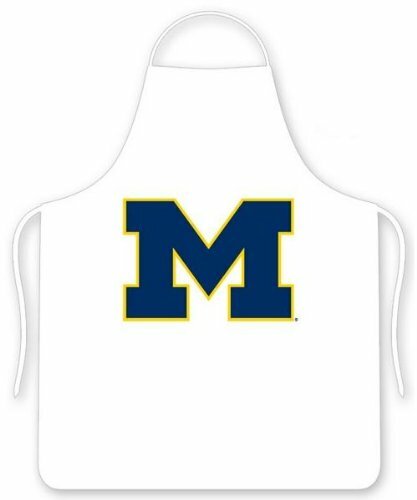 University of Michigan Wolverines Chef's BBQ Kitchen Apron – Every chef and grill master needs an apron to make sure their game day clothes don't get dirty before the game. 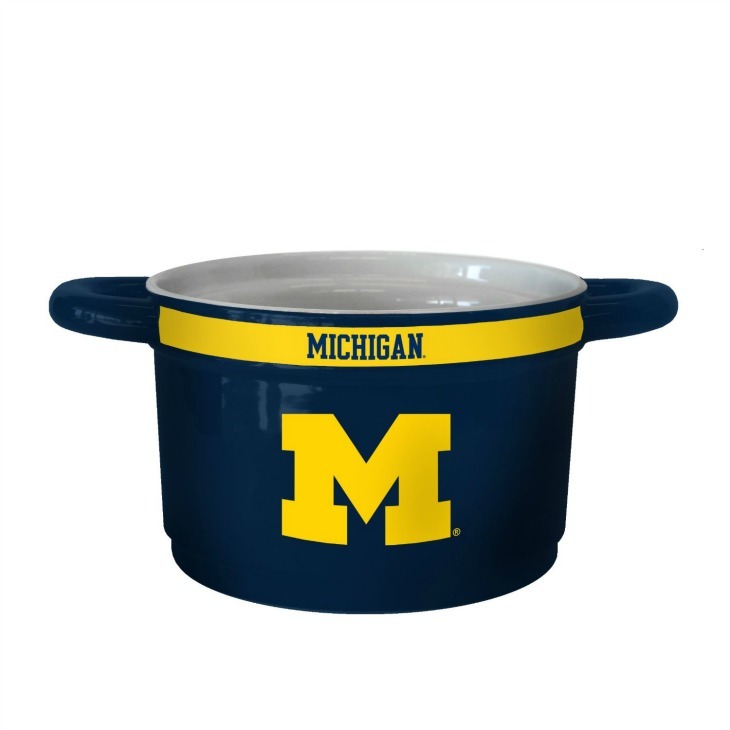 NCAA Michigan Wolverines 23-Ounce Sculpted Gametime Bowl – This bowl would be great for a dip, spread or maybe even a punch. 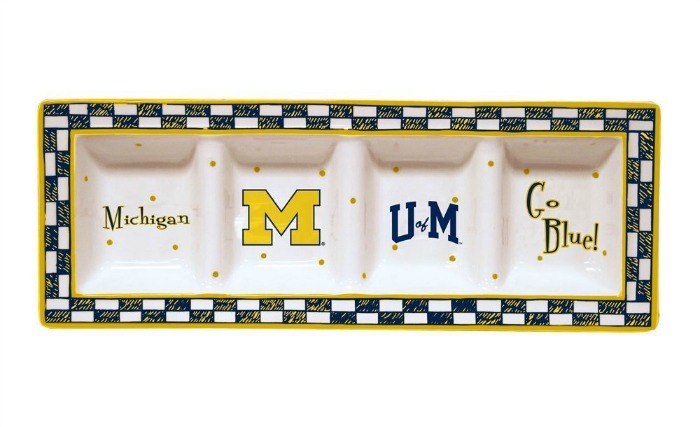 NCAA Michigan Wolverines Melamine Serving Tray – Load this baby up with some Go Blue Cupcakes for a sweet ending to your party! 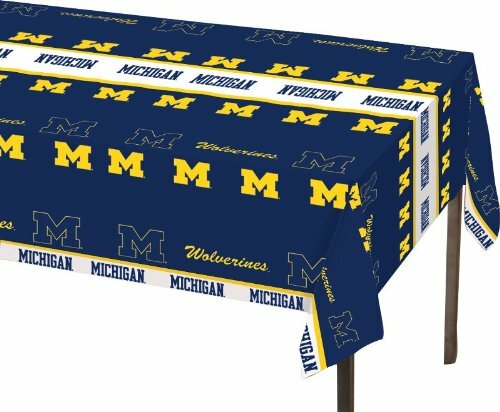 Creative Converting Michigan Wolverines Plastic Banquet Table Cover – Add a festive touch and keep your table clean with this maize and blue table cover. Eureka University of Michigan Officially Licensed NCAA Pennant Banner – This banner could be hung up in your house, on your camper or even on a few lounge chairs. Jenga University Of Michigan – Set up this Michigan Jenga game for a little pre-game or half-time entertainment. 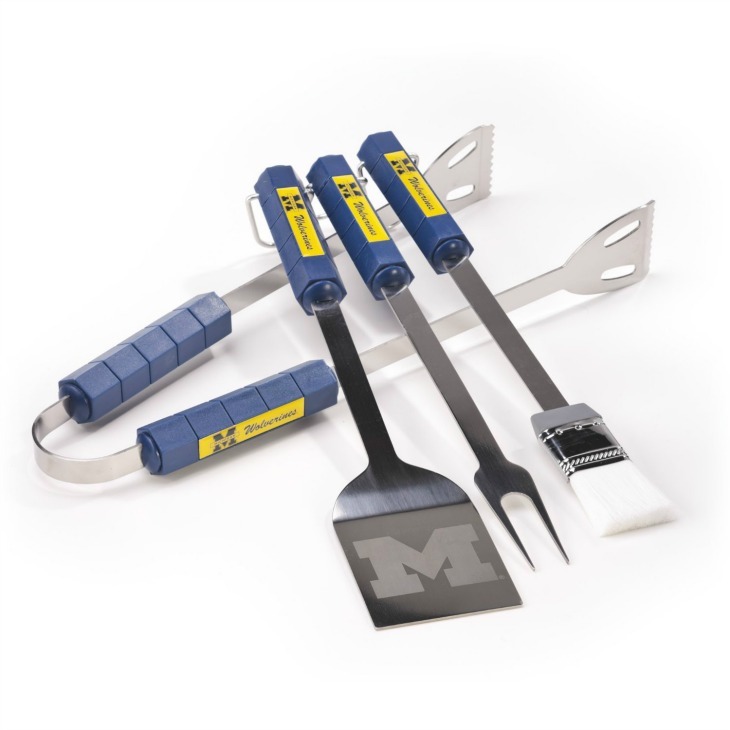 NCAA Michigan Wolverines 4 Piece Barbecue Set – Grill up game day grub, like these awesome Buffalo Chicken Flatbreads, in style with this set! JELL-O Dessert Mold Kit, University of Oregon, Lime – Lemon, 12 Ounce. 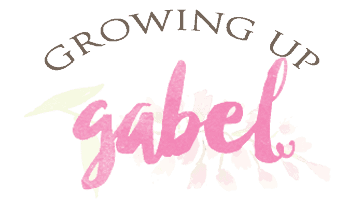 – One of my favorite Michigan items ever! 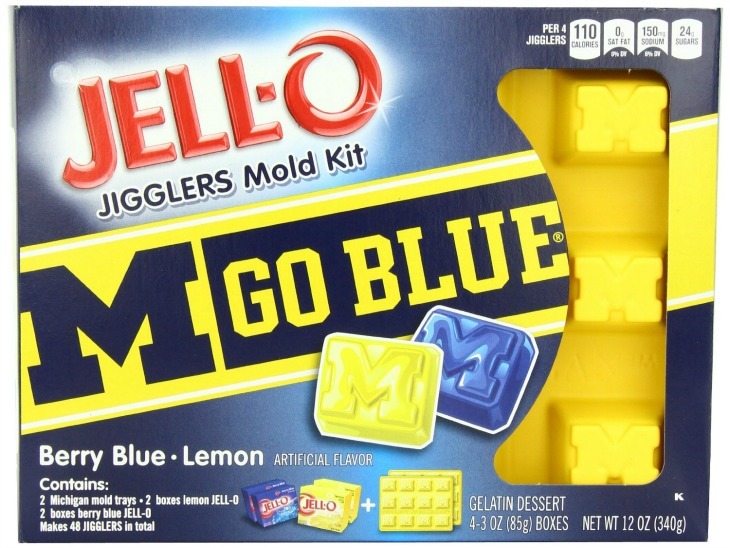 Make Jell-O Jigglers, Jell-O shots, or even chocolate molds with this fun set. 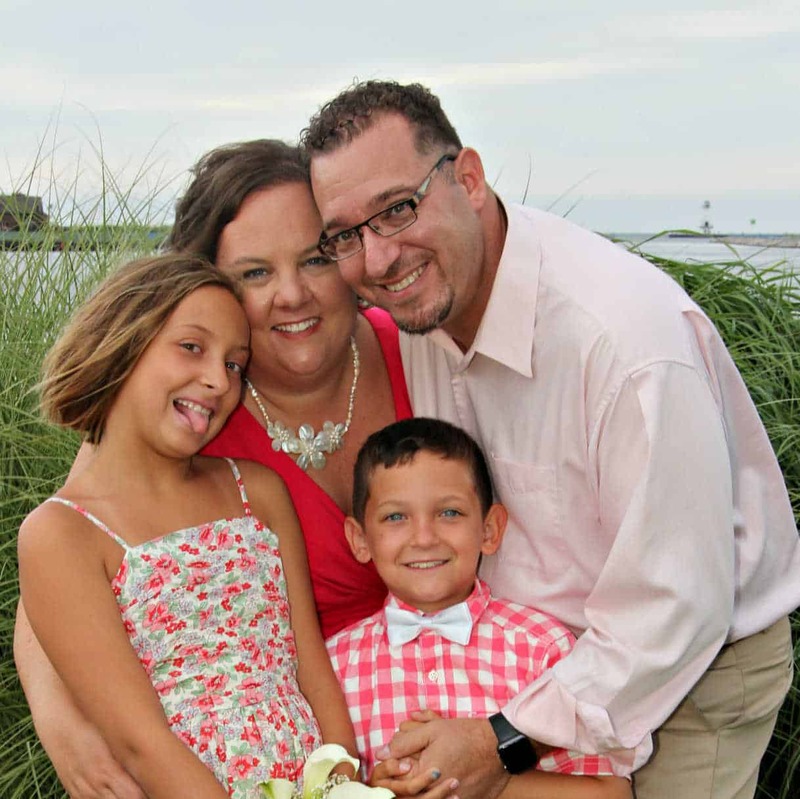 Check out how I use them to make a fun kid friendly tailgate! 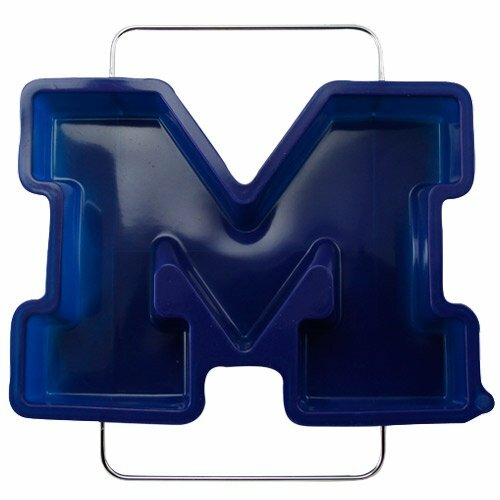 Michigan Wolverines Silicone Cake FANPAN and Stand – I've had one of these pans for years and have used it to make brownies, cakes, for Mexican Corn Dip and even corn bread to serve with chili.